Our bakery offers a range of organic gluten-free (and vegan-friendly) biscuits handbaked in Brussels. Our mission is to make cookies that taste fabulous using gluten-free organic ingredients. Our products will appeal to everyone, including people with allergies or intolerances. We also offer a vegan range. Our ingredients are organic and come from local quality producers. No wheat, soy, corn or food additives are being used but alternatives such as buckwheat, tapioca or potato flour. Our workshop is located in Brussels. 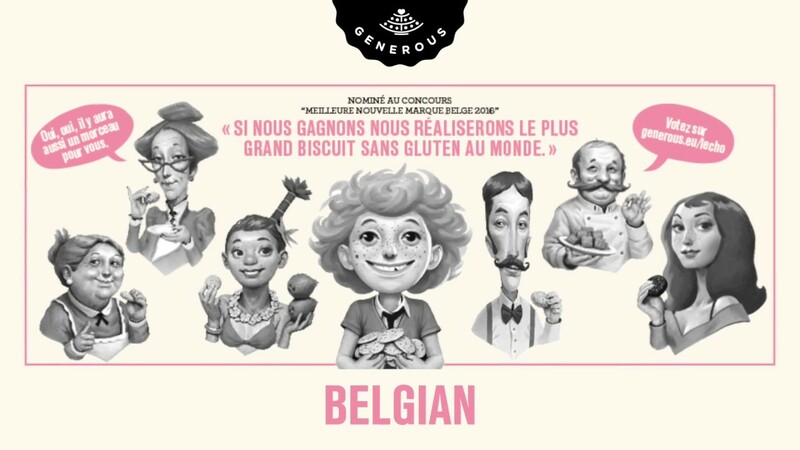 Generous was awarded Best Belgian new brand in 2016. Schokoladenplätzchen mit Belgischer Schokolade-chips , haselnüsse und Fleur du Sel.